Denise Najera is a sophomore at Sahuaro Highschool. She is both ready and excited for her first year in The Paper Cut as a Sports Recorder. Some Facts: For as long as she can remember, Denise has always had a love for writing. So much that she actually entered one of her stories in a contest for her school, and was chosen as a winner to have her story made into a play! Along with writing, she also loves to read. Some of her favorite books are Anne of Green Gables, Freak Almighty, and all of the Mortal Instruments series. 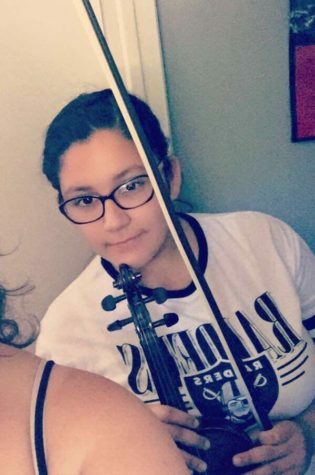 If not reading or writing, Denise likes to make music with her violin or piano. Playing the violin for eight years, orchestra has become a big part of her life and is near and dear to her heart.